The only reason RNZ is reporting this is because one of the authors is a New Zealander. That particular policy was revealed to me by email by someone who worked at TNZ but no longer does. Global warming has to have a parochial interest. Interestingly, I can't find Mr.Golledge's name amongst the authors below - but I'm sure he is there. New Zealand-led research shows unpredictable extreme weather could worsen as major ice sheets melt. In research published today in the journal Nature, scientists from New Zealand, Canada, the UK, Germany and the US, have used satellite data and modelling to simulate how ice sheets in Greenland and Antarctica will melt and evolve through until 2100. Those simulations were then used to explore how the melt water changed the global climate. 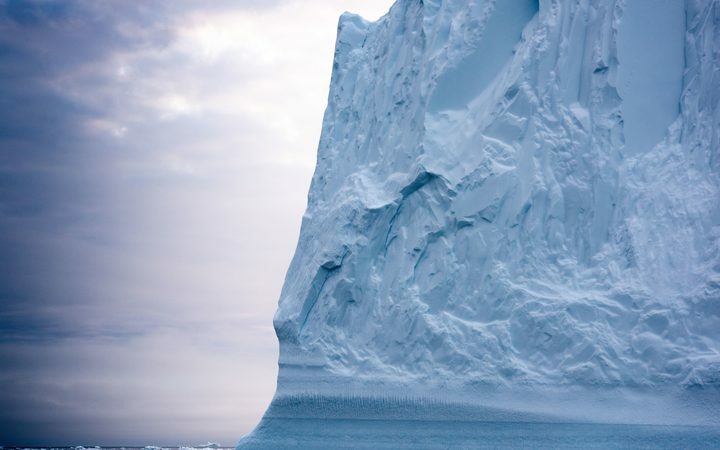 The project's leader, Nicholas Golledge, from Victoria University of Wellington, said previous simulations used for government policy didn't capture the effects of melting ice sheets. "It's quite surprising just how important the ice sheet melting is for the global climate." The earth's temperature is on track to increase by three to four degrees on pre-industrial levels by 2100 even if the Paris Agreement pledges are met, he said. "These changes are already happening and are going to make things a lot more uncomfortable whether it's through sea level rise or more variable climate patterns in the future. So it really just adds to the urgency of reducing our emissions and that's essentially something that's got to happen at all levels, Mr Golledge said. One of the papers key findings was that the melt water would cause significant disruption to ocean currents, with changes possibly causing more extreme weather events and greater year-to-year variations in temperatures. Much of that weather is a flow on effect from the ice-melt's impact on ocean currents. Their modelling found the melting of the Greenland ice sheet would likely slow down the Atlantic's main circulating currents. "A lot of people will have heard of the Gulf Stream, this warm current that brings a lot of heat from the Gulf of Mexico up the East Coast of the USA, into the higher latitudes and across the north-west Europe. "What we're seeing is that when you put in a lot of fresh water from the ice sheets the strength of that circulation is reduced meaning that a lot of that heat from the Gulf of Mexico stays there so the ocean temperatures get warmer there. A lot of that heat doesn't make it across to north-west Europe." 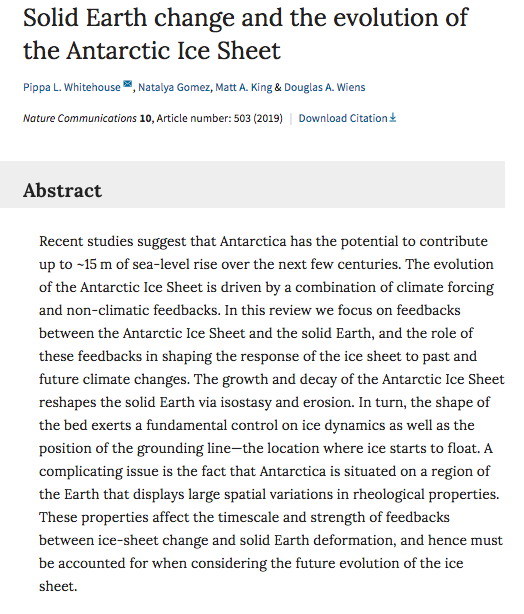 In the southern hemisphere the melting of the Antarctic ice-sheet would actually lessen rising temperatures but to the detriment of the ice-sheet. "Basically the melt water from Antarctica tends to cool the surface of the Southern Ocean and that means the warming that we're likely to see over the next century is probably going to be reduced slightly which is kind of good news in a way. "The bad side unfortunately is that by cooling the surface it means that it stops a lot of the warmer water lower down in the ocean from actually getting up to the surface and losing its heat so all that heat then gets trapped underneath the floating ice in Antarctica, the ice shelf, and it actually drives more retreat. Mr Golledge said some of the effects would be happening in the next couple of decades. "Some of those impacts are already starting and their just going to get worse from sort of 2050 onwards. "It's quite surprising how quickly things are likely to change." The researchers also found the two ice-sheets would also contribute significantly to sea-level rise. "We predict that the combined total from the Greenland and Antarctic ice sheets will be about a 25 centimetre contribution to sea levels. "That is then added of course to other contributors such as glacier melting around the world, the thermal expansion of the oceans, and when you add all these different things up we're basically on track for something just under a metre of sea level rise as a global mean by 2100." Taking into account factors such as the earth's rotation the modelling found some areas would be more impacted by more than 30 centimetres of sea level rise. "So in this case it means the greatest sea level rise will be in the central Pacific area so a lot of those south-west Pacifica islands, Hawaii in the US side of the Pacific, they're going to be experiencing almost one and a half times the global average in terms of sea level rise so that's really important for those nations to take that on board. It re-enforced how everyone needed to do more to combat climate change, he said. "New Zealand is making a great effort, with the Zero Carbon Bill and attempts to find a cross-party solution - but globally policy is lagging far behind the science." The findings of the paper will be incorporated into future Intergovernmental Panel on Climate Change reports to help guide climate change policy. Other Victoria University of Wellington academics at its Antarctic Research Centre have also started to adapt the projections to predict the outcomes specifically for New Zealand.